My friend, Michelle, is about to add two new members to her family. No, she’s not having twins. She and her husband are adopting two orphaned children from Haiti. Knowing a little about the complexities of their experience with foreign adoption, I know she would be quick to say that bringing a baby into a family the natural way is considerably quicker and far less painful than the birth pangs of adoption! 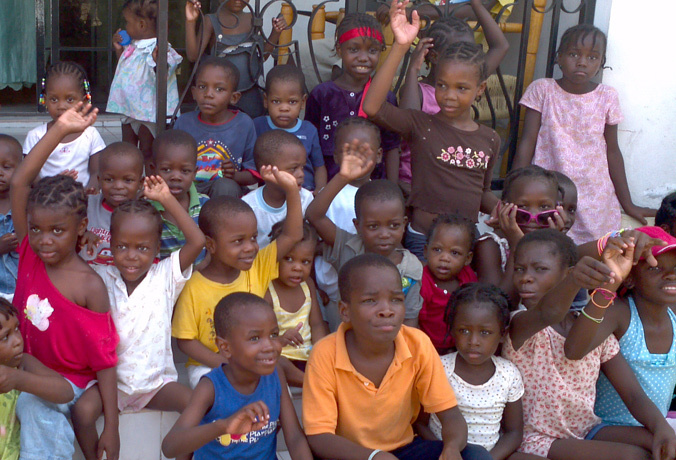 But when these precious children finally (very soon) step into their new household, they will arrive as full members. While they won’t bear much of a family resemblance, their appearance has no bearing at all on the truth that they are -and will forever be- 100% part of my friend’s family. You know, something similar happens to us when we become followers of Jesus Christ. Through His sacrifice and our faith in Him, God adopts us into His family and makes us His own forever. That means that we, not only gain a heavenly Father, but also a legion of new spiritual brothers and sisters too! I think that’s part of what Jesus helped His disciples understand when He uttered his third statement from the cross. “When Jesus saw his mother there, and the disciple whom he loved standing nearby, he said to her, “Woman, here is your son,” and to the disciple, “Here is your mother.” ~ John 19:26-27. Of course, His words were full of compassion for his grieving mom, but there was likely more to it than that since this wasn’t the first time that Christ broadened the definition of what it means to be a ‘blood relative.’ In Mark 3, He made it clear that He considered “those who do God’s will” (vs 34) to be members of His family. So, while His followers stood at the foot of a cross staring up at Him, Jesus joined John and Mary together as perhaps the very first spiritual relatives to be sealed together by His precious blood. In today’s world of prejudice, fear and mistrust, Jesus calls His people to think differently… to live differently. We must learn to look beyond our personal inner circles… beyond the comfort of the familiar … and to take Christ words to heart… and endeavor to love, care for, and accept other believers, treating them as our own precious family. 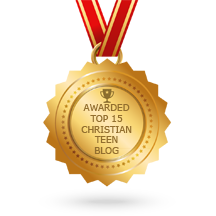 This entry was posted in A CLICK A BLESSING TODAY, CHRISTIAN LIFE AND THE WORD, Christian Life and the Word - Know the Truth - Live the Truth, CHRISTIAN TAGALOG BLOGS, CHRISTIAN TEENS BLOGS and tagged adopted, Adoption, Cross, Crucifixion, Family, last words of Jesus, Mary. Bookmark the permalink.